Follow in Elisabetta Cametti’s footsteps and don’t miss the weekly date with the magazine Nuovo (Cairo Editore). Which are the most controversial crime news at the moment? 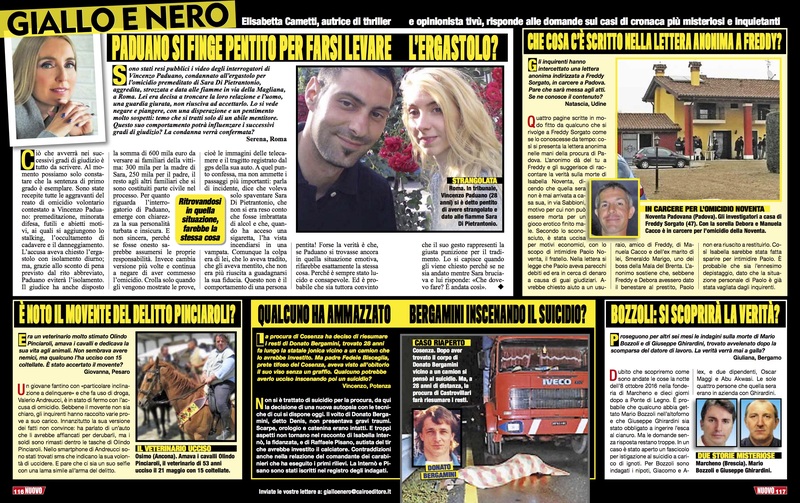 Discover them on the column Giallo e Nero (8/06/2017).